It is one of the core guiding principals of Allcool (NW) Ltd that we constantly employ and train up new apprentices. 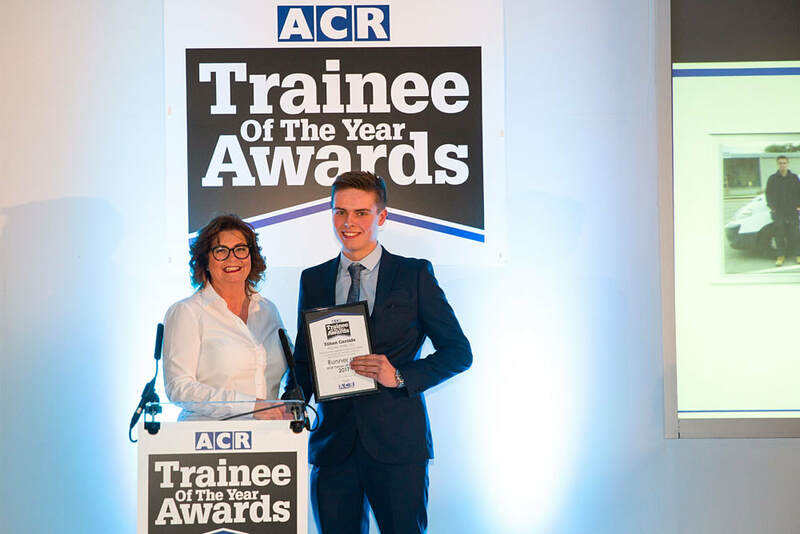 It is with some pride that we announce that we had two of our apprentices nominated for the recent 2017 ACR Awards. At the 8th National ACR & Heat Pump Trainee of the Year Awards 2017 which were held at The Belfry on 7th December. These prestigious Awards recognise some of the top young engineers in the air conditioning and refrigeration industry. Two of our young engineers, Ethan Garside and Tom Griffiths, were nominated as finalists for the Awards by PRTC Training Centre. We are delighted to announce Ethan came Runner-Up receiving a cheque for £500 together with numerous tools and Tom, as one of the ten finalists, (the largest intake in the eight year history) received a cheque for £200 and a selection of tools. Both Ethan and Tom are continuing their development with the support of PRTC, the Growth Company and Allcool (NW) Ltd to expand their knowledge and experience within the industry.